All organizations are perfectly designed to get the results they get. Innovative organizations have social architecture designed to promote and support innovation. In this discussion the relationship between social structure and innovative success is explored. b) How might existing organizations best go about growing such a culture? Who should attend? The February 5th SVII gathering is intended for those organizational leaders, changemakers and practitioners who are intrigued with the possibility of multiplying their organization’s capacity to innovate — both in their products and services and in their social architecture. 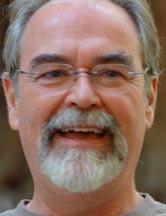 Bill is a senior social architect with extensive experience in the fields of organization design, learning and change. 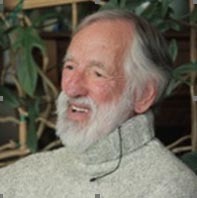 A pioneer in organic action-learning approaches to leadership development, he has designed and led numerous generative leadership learning expeditions. Bill’s professional background includes over 35 years of experience in leading innovative organization design and large-scale change implementations in the United States, Canada, Europe and the Far East, both as an internal at Exxon and later as an external consultant. Bill’s deep commitment is to the transformation of our social systems throughout our planet (education, health care, commerce, governance, media, etc. ), in a way that best serves all life — for all time. His recent focus has been on helping corporations grow their system-wide capacities for distributed leadership, collaborative innovation, rapid learning and change. Max is a social architect and organizational innovator with extensive corporate experience in management, product development, and organization development and change. During his career at Snapfish and later HP, Max successfully led several large-scale, division-wide change initiatives focusing on business transformation and innovative organization design. In 2009, after completing an advanced degree in Organization Development at Pepperdine University, Max chose to dedicate himself to his deep passion for social architecture and generative organization design, which he considers his life’s work. In 2011, together with Bill Veltrop, he co-founded GlobalGEA and has since been co-developing highly generative, innovative approaches to organization learning and transformation. Peter is a senior social architect with extensive experience in organizational design, organizational development, executive development/coaching, and strategic change management. Peter’s professional background includes over 33 years of experience in strategic change work, innovative organizational design, cultural transformation and executive development and coaching. Peter spent 25 year as an internal consultant/director at Hewlett Packard and Lockheed-Martin, and 8+ years as an independent consultant serving both profit and not for profit organizations. Peter has deep knowledge in high tech, manufacturing, education and most recently health care. In communities, he has worked at the intersection of local government, non-profits and educational institutions to improve and transform the systems and coordination between agencies to better serve their constituents. Peter is a co-founder of MISA, and has affiliations with The Piras Group and Sapience Networks (website currently not available). 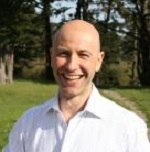 Stu Winby is Founder of Spring Networks, an organization strategy and design firm and also Managing Partner of Innovation Point, a strategic innovation firm – both headquartered in the Silicon Valley. His focus over the last decade has been in healthcare and technology, working at the CEO, state and national level in healthcare innovation and transformation. His interests are in the design of dynamic networks as continuous innovation and productivity sources of advantage, and the management of innovation.